Archaeology doesn’t always live up to its Hollywood fame—you don’t always bring the cool artifacts home like Indiana Jones. But with new technology, we can do the next best thing. Robert Bischoff is a recently graduated BYU master’s student who focuses on this technology. Focusing his studies on the people of the Southwestern United States, Bischoff has been able to take Fremont and Ancestral Pueblo artifacts away from archaeology sites and into the hands of research colleagues and Museum of Peoples and Cultures visitors through 3D printing and modeling. The first 3D printer was used in the 1980s by Charles W. Hull to make mechanical part prototypes. Today, the uses of 3D printers have expanded to replicating artifacts, documenting historic landscapes, and building archaeological models. In the past, students and researchers were limited to studying artifacts at excavation sites and presenting and teaching the public with 2D photographs. But with 3D printing, archeologists can tangibly share their knowledge as they bring copies of artifacts to conferences, campuses and museums. When Bischoff and his peers excavated a site in Goshen, Utah where all the artifacts legally belonged to the landowner, they were able to make 3D models of basketry impressions to continue studying their findings. Other students are reconstructing clay lamps and figurines from Petra, Jordan. Bischoff’s favorite project (so far) was doing 3D modeling of Pilling Figurines. The benefits of this technology expand to students and community residents as they visit the Museum of Peoples and Cultures. Individuals get to handle replicas of artifacts from around the world without risking any harm to the artifacts themselves. Allowing people to touch, handle (and sometimes drop), and see demonstrations with these printed replicas elevates off-site archaeological learning to the next level. While 3D printing has already expanded the archaeological world, Bischoff notes that archaeologists are always adapting new technology to do even more. BYU research archaeologist Scott Ure was an early adopter of using drones to take aerial photographs and then processing these photographs into 3D models. This inventive approach provides opportunities for documenting large landscapes and identifying features that cannot be seen from the ground. Ure has created a number of 3D replications of archaeology sites that allow researchers to better understand what is on the ground. As this specific approach evolves, archaeologists will be able to more easily record the exact shapes, dimensions, and appearance of archaeology sites and preserve and share these sites and artifacts digitally. Another perk to 3D modeling: instead of carefully planning and packing for the transportation of models and artifacts around the world, models can be shared digitally to be shared with the public and archaeologists conducting research across the world. Step into models of actual archaeological sites and handle the printed replicas of artifacts that create our history at the Museum of Peoples and Cultures. Dr. Sherina Saasa, the newest Social Work faculty member, has spent her life improving the lives of others. Growing up, Saasa looked up to her father and the work he did as an international social worker. Little did she know at the time that her own work and research as a social worker would bring her across the globe to Provo, UT. Dr. Saasa’s practice and research interests branch from her experiences observing the poverty, oppression and social injustices that vulnerable populations and individuals experience, as well as from her own background as an African emigrant living in the United States. More specifically, Saasa’s work focuses on inequality, poverty and mental health of underprivileged and vulnerable children in sub-Saharan Africa and that of African immigrant populations in the United States. The fact that there is so little research on African immigrants combined with her own experiences as an immigrant from Zambia only add to the purpose and importance of Saasa’s research. In a time when issues of power and powerlessness are so apparent in politics, standing up for human rights and promoting societal change is needed everywhere. Saasa promotes and implements these necessary societal changes through her nonprofit, the Crispin Mwakamui Memorial Foundation (CMMF), named after her father. The organization focuses on helping orphaned children living with relatives in impoverished conditions not only have better access to education but also succeed academically. Saasa graduated from BYU with a master’s in social work in 2013, but she is very excited to return and teach social work practices with gospel principles. Through her teaching, Saasa hopes to teach students to believe in themselves and to see and embrace their potential to be a force for good in the world. Mike Bridenbaugh, FHSS’s new College Controller and Assistant Dean, is quite the big cheese. As the College Controller, Bridenbaugh oversees how university funds are spent throughout the college. But Bridenbaugh has been a part of the BYU student experience for years. Bridenbaugh began his career at BYU 30 years ago making cheese and ice cream at the BYU Dairy. After working in the Student Auxiliary Services controller office, he moved to the College of Family, Home, and Social Sciences in 2014. In his current position, Bridenbaugh plays a role in FHSS human resources, endowments, and the hundreds of scholarships that students in the social sciences receive each year to attend conferences and intern around the country and world. When he’s not helping the college and its students find academic opportunities, Bridenbaugh is busy with his own adventures. Not only does he enjoy keeping up with his garden–his “Summer Sanctuary”–he also loves to mountain bike, bake bread, read, and dabble in outdoor photography, woodworking, and blacksmithing. Bridenbaugh replaced Mike Nelson as the College Controller. Nelson retired after an established career at BYU in July 2018. With the end of the spring/summer terms comes another inspiring graduating class of Cougars. The College of Family, Home, and Social Sciences boasts some of the best and brightest of the more than 30,000 students who walk across campus each year. This graduation, we celebrate the almost 400 FHSS graduates and their studies, efforts and experiences that are helping families, individuals and communities thrive. From Orem, Utah, to Tokyo, Japan, our graduates act as forces for good across the county and world. Alexander Baxter, a psychology major, loves studying monkeys. As a sophomore, Alexander started working in Dr. Dee Higley’s nonhuman primate research lab. In conjunction with Dr. Daniel Kay, he studied mother-infant attachment and infant sleep development. Alexander went on a summer internship to the California National Primate Research Center at the University of California, Davis. While there, he collected data for his own project of studying prenatal testosterone exposure. He loved the experience so much that he spent the rest of his time at BYU in Dr. Higley’s lab, and went on the internship two more times to collect data. Alexander presented his research with Dr. Higley at four professional conferences, six undergraduate research conferences, and published two first-authored research papers in peer-reviewed journals. In addition to studying attachment and social relationships in monkeys, Alexander also studied similar topics regarding humans, under the mentorship of Dr. Julianne Holt-Lunstad. Through the connections he made on his internship, Alexander was accepted into the biological psychology PhD program at UC Davis, and will continue doing research at the Primate Center. He is grateful for Elizabeth Wood, his lab manager and friend, and for Dr. Higley, his mentor. He will always remember Dr. Higley’s most important lesson: the people you work with are more important than the data they help you collect. BYU History professor Dr. Jay H. Buckley has been selected as the new director of the Charles Redd Center for Western Studies. Buckley will serve in this position for a three-year term that begins September 1, 2018. Buckley will be replacing current director Dr. Brian Cannon who has served as the Charles Redd Center for Western Studies director for 15 years. Cannon has “fundamentally shaped (the center’s) direction” according to Assistant Director Dr. Brenden Rensink. In addition to overseeing countless initiatives and programs, Cannon helped grow the Redd Center’s influence across multiple academic fields and with the general public. The College of Family, Home, and Social Sciences is deeply appreciative of Cannon’s many years of dedicated service and is excited to have him continue teaching full-time in the history department. Buckley is an associate professor in the history department and the director of the American Indian Studies academic minor. Buckley’s research and publication interests include the American West, exploration, fur trade, and American Indians. He is the author of the award-winning William Clark: Indian Diplomat, and co-author of six other books. Buckley has served on the Redd Center Board of Directors since 2011. He has received multiple Redd Center research grants, worked extensively with students on the Intermountain Histories public history project, and received the Mollie & Karl G. Butler Young Scholar Award in Western Studies. He is also the past President of the Lewis and Clark Trail Heritage Foundation. 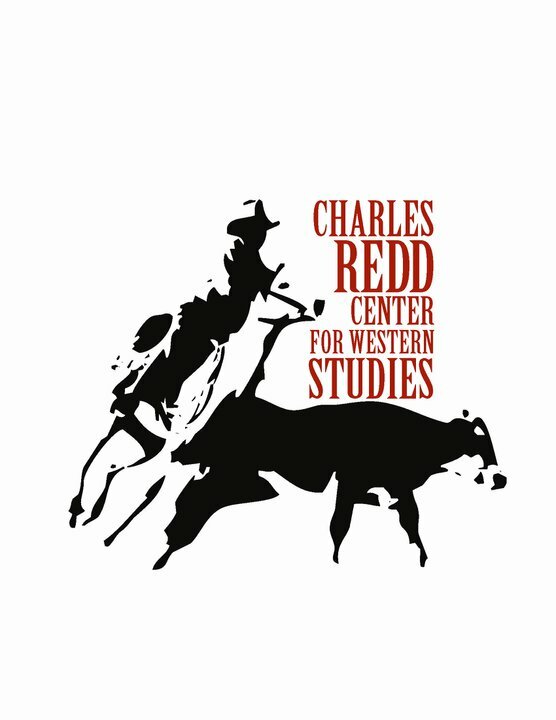 The Charles Redd Center for Western Studies was founded in 1972 by Charley and Annaley Naegle Redd. It promotes the study of the Intermountain West (defined as the states of Utah, Idaho, Montana, Wyoming, Colorado, Nevada, New Mexico, and Arizona) through its sponsorship of research, publication, teaching and public programs. The Redd Center is an interdisciplinary center in the College of Family, Home, and Social Sciences and the College of Humanities. For more information on the Redd Center and its events, visit reddcenter.byu.edu. A new study shows texting information about political corruption can improve democratic election outcomes. BYU political science professor Daniel Nielson teamed up with three other professors to look at elections in Uganda, which suffers a range of challenges due to economic, political and social corruption. This study was done as part of a broader project, Metaketa I, which funded six studies in five countries to investigate how disseminating information about corruption impacted voting patterns. In Uganda, Nielson noted, citizens struggle to vote out corrupt politicians due to state control of media, low civic education, untrustworthy institutions and uncompetitive elections. During the 2016 Ugandan district elections, Nielson and his co-authors worked with Twaweza, a Ugandan-based organization that promotes good governance, to send mobile phone text messages to inform 16,000 voters about suspected budget fraud by local government councils. The team was able to contact 16,000 citizens, significantly more than is typical in such studies. They found that the impact of the text messages changed citizens’ votes between 2 and 6 percent. This data would have been difficult to detect had the team only surveyed a few thousand participants, but their wide reach provided them the statistical power to detect small changes in the population’s voting behavior. Voters who learned that suspected fraud in the political candidates was greater than they expected were 6 percent less likely to vote for incumbents. Those that learned that fraud was less than expected were 5 percent more likely to vote for incumbents.